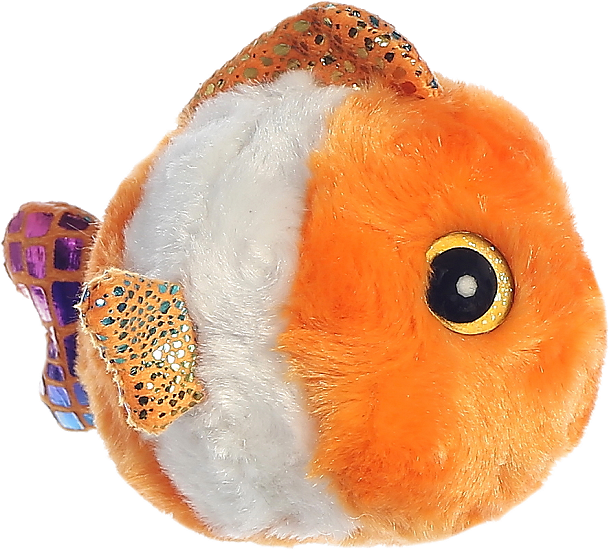 Meet mini Clownee, this adorable plush clown fish from the YooHoo and Friends collection. 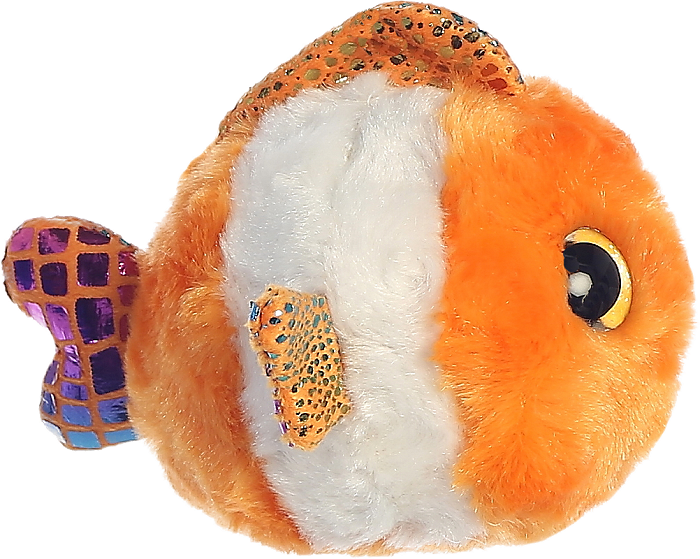 Cute & cuddly with soft orange and white fur, this clown fish stuffed animal has fun, floppy fins with shiny scales in a rainbow of colors. One look into eyes of beautiful glittery yellow and you'll want this sweet clown fish in your own plush aquarium. Explore the YooHoo and Friends virtual world, learn about endangered animals, and play fun games at www.YooHooFriends.com. Mini Tangee, this adorable plush blue tang fish, has soft blue fur, shiny fins, and glittery yellow eyes. 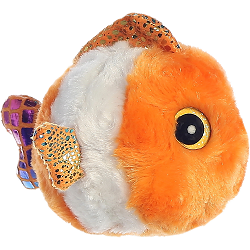 Tangerine, this adorable Li'l Sweet & Sassy plush clownfish, has a cuddly body with vibrant orange fur and sparkly green eyes. Giggles, is an adorable plush clown fish with vibrant orange fur, an embroidered smile, and sparkly emerald-green eyes. 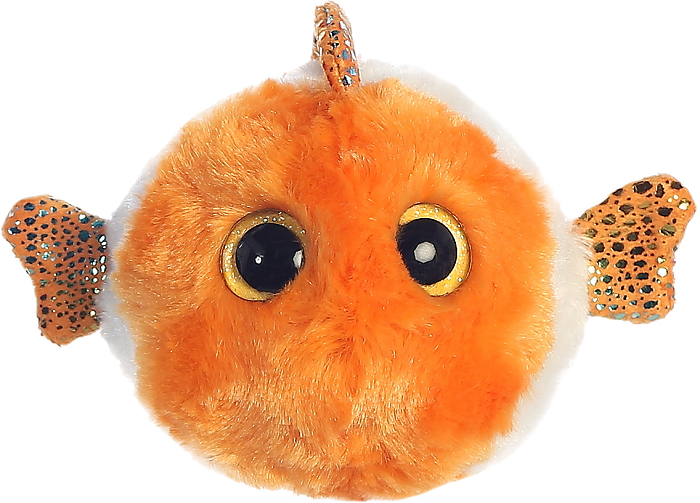 Fins is an adorable plush clown fish with a cuddly body of soft orange and white fur and shiny, floppy fins. Woodee, this adorable plush woodpecker is cute and cuddly with its soft red, black, and white fur. This adorable Goldfish fabric wall art is a wonderful customizable addition to any sea world atmosphere or underwater adventure.